Photograph from Cooper, Thompson: Men of Mark... London, 1876-1878. P.P.1931.pch. 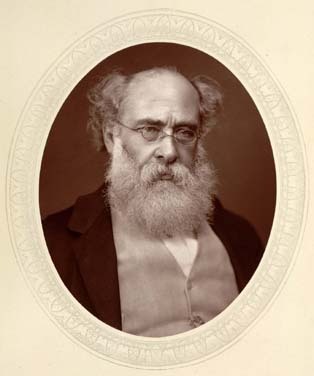 Nathaniel Hawthorne in a letter of February 11, 1860 to his publisher Fields: "Have you ever read the novels of Anthony Trollope? They precisely suit my taste; solid, substantial, written on strength of beef and through inspiration of ale, and just as real as if some giant had hewn a great lump out of the earth and put it under a glass case, with all its inhabitants going about their daily business, and not suspecting that they were made a show of." 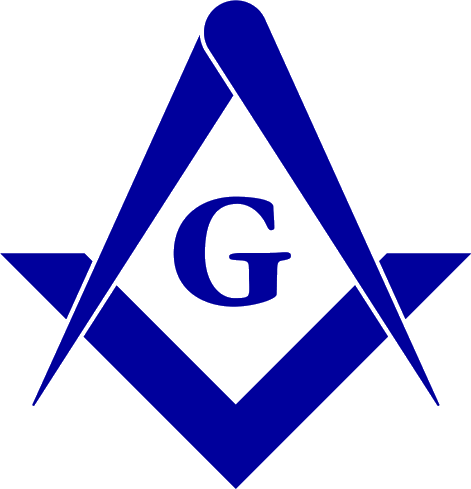 Source: Hamill, John et al.. Freemasonry : A Celebration of the Craft. JG Press 1998. ISBN:1572152672. 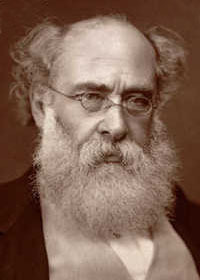 Never comfortable being photographed, Trollope was fonder of an oil portrait by Samuel Laurence (1864).